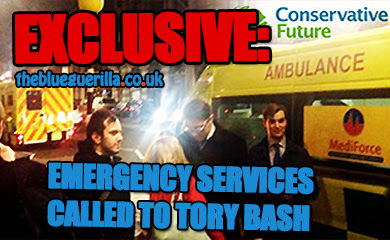 TheBlueGuerilla: EXCLUSIVE: Tory Youth Leader Clobbered Over 'Lack of Interest' as Eastern Region is Left Hanging. 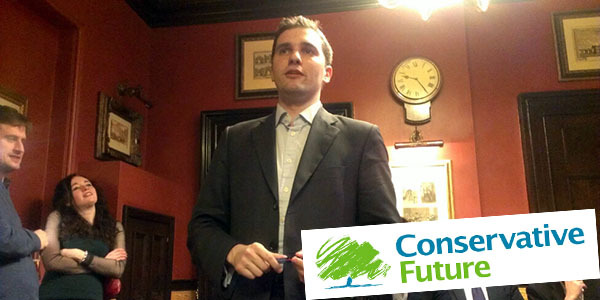 EXCLUSIVE: Tory Youth Leader Clobbered Over 'Lack of Interest' as Eastern Region is Left Hanging. tbg can exclusively reveal that there is said to be "radio silence" in regards to the Eastern Tory Youth Regional Chairman position, which wasn't filled in recent national elections. Conservative Future (CF) sources in the region told tbg that there was an 'understanding' that Samantha Hoy, the current Chair', would stand unopposed. CF'ers have attempted to contact CF National Chairman Oliver Cooper over the matter, to no avail. One source revealed to tbg - "It seems that the incumbent was too preoccupied with her other duties (both at Cambridgeshire County Council and Wisbech Town Council) and missed the nomination deadline. Samantha Hoy (incumbent) has suggested that this was a mistake, and says she should be given the position. "I am personally a bit concerned as to whether Samantha has enough time to carry out the role properly." A deeply concerned Eastern region Tory told tbg they were concerned that the Eastern region was rudderless whilst under fire from a strong UKIP threat. The source went on to tell tbg - "UKIP are particularly strong in the Eastern region and I would prefer if we had someone who is able to take a more active role. I am not alone in this." 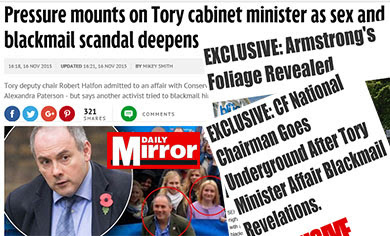 "There has been a distinct lack of interest shown by Oliver Cooper over this. We haven't been able to find out whether an election will be called or not. Even Samantha Hoy has been struggling to get a response. "I appreciate that he is newly elected and finding his feet, but we can't even get a simple yes or no answer out of him - even via twitter. "It doesn't say much for Oliver's commitment to localism." - the source added. Unless it involves getting drunk lets face it Cooper is interested! 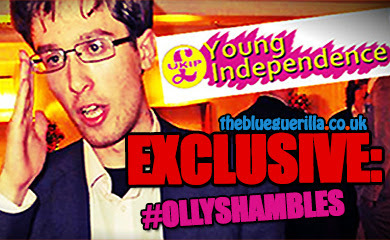 maybe the Eastern tory youth branch should hold a massive booze up, he'll show interest then. #thingselliottsays knows a lot about this and will do an explaining update after I've gone to a quiz tonight. EXACTLY THE SAME HERE IN WALES. CF WALES CHAIRMAN IS IN DEEP WATER OVER ELECTION RIGGING BUT HE DOES NOT COMMENT! Oliver Cooper only wanted the top job to make his CV look pukka. No wonder the regions are now being ignored. For all his faults, at least Howlett listened. anonymous person can make accusations all they like but maybe stop being a coward and give your name. If you think I am lying and forgot a deadline and pretended I didnt...tell me....to my face. Wales CF is crumbling whilst Oliver has given Christopher Harries to the dogs! Cooper isn't even in charge until the 6th of May - this is under Howlett's watch. @2:09 Hoy was supposed to be at the national conference but she didn't get her ticket by the deadline. More anonymous comments! Does anyone in CF have any courage at all?! I mostly love how everyone trusts the email system even though half of CF didnt get ballots! Jasmine Rahman for East chair? Here's an idea. How about, the next time a "concerned Eastern region Tory" wants to talk a bunch of nonsense - they have the guts to use their real name rather than hiding under a veil of anonymity. This feeble, cowardly, attack-your-own-side gutlessness is something I'd expect from the Left of politics. If you're genuinely "concerned" rather than just a mischief-maker or somebody with some political agenda then SAY WHO YOU ARE so we can challenge your points and, more importantly, your points of reference. I have been a Conservative member all my life. I'm a county council cabinet member, a branch chairman and a lifelong activist. As long as Samantha Hoy is around there is no danger of the Eastern region being "rudderless." You simply could not ask for a stronger Conservative or a more hard-working and dedicated young lady. The inner workings of CF democracy is for the party leadeship and the new chairman to work out. But how about saving the snivelling and whining - and most particularly the (incorrect) mudslinging about solid and decent Conservatives for the opposition? Or - if not - be brave enough to say who you are so everybody can identify the malign source. @ Steve Tierney - I didn't read this story as an 'attack' as such. It seems more about administrative incompetence, combined with a bit of nonchalance from Oliver Cooper. It really only takes 5 seconds to respond to a tweet, you know. Speaking as a Norfolk Tory, I've never been very impressed by Samantha Hoy frankly. I didnt miss the deadline. I choose not to go to the conference as it is my birthday...didnt know there was a law on it. You say you arent impressed yet dont give your name. What a coward. If you arent impressed you should have stood yourself! Samantha has responded to the article except for the point which says she "was too preoccupied with her other duties (both at Cambridgeshire County Council and Wisbech Town Council) and missed the nomination deadline." Is this the case? I did respond to that point. I said I didnt miss the deadline, I never got the email at all. @ 11:11am - Seriously Samantha, you're going to blame it on 'not getting an email'?? Was your head buried in the sand so that you didn't realise the CF elections were coming up? Or were you too preoccupied as the article says? Unbelievable incompetence from Hoy Polloi. Definitely need an election. No dodgy backroom deals. Get this Hoy person out. Hear Hear! I don't think Samantha is a bad egg by any means, but she's clearly been asleep at the wheel. An anonymous person makes an anonymous attack and is seconded by "another" anonymous person. "Another" anonymous person makes a (poor) attack poster. Seems like a campaign of unpleasantness being carried out by somebody with a grudge. But good dod you're a bunch of gutless wonders, aren't you? Call yourselves Conservatives? 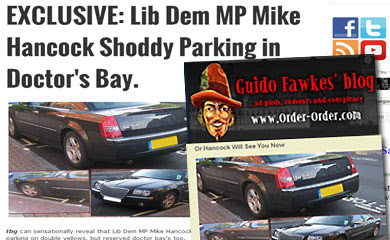 You should join the Liberal Democrats. You'd fit right in. Perhaps Cllrs Steve and Samantha should realise they spend more time on the blue guerrilla instead of the streets they represent. Guess who's got the snout in the trough receiving hard earned tax payers money, yeap they are!